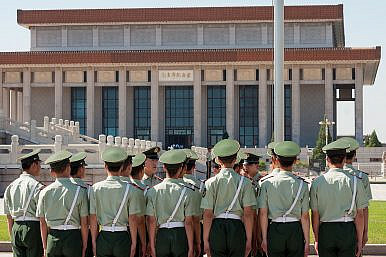 Can China Fix Its Propaganda Problem? As long as China’s “iron fist” policy and fierce censorship continue, propaganda cannot help China’s image. “Someone has to be responsible [for this mistake], and changes needed to be made,” Chen added. Indeed, China’s propaganda strategy is a big failure. In recent years, China’s image abroad has been deteriorating dramatically. Faced with criticism from the international community, China’s propaganda organ usually chose to either overlook the disapproval or condemn the West for their “evil intention” instead. In recent years, to counter these “verbal attacks” from the West, the Chinese propaganda department decided to constantly boast about China’s rise and “China’s great achievements in the new era.” In March, in an attempt to make China’s voice louder in the international arena, China’s propaganda organ even merged three large state-run networks for international propaganda — China Central Television (CCTV), China National Radio, and China Radio International — into a gigantic new outlet, Voice of China. In an international community that values independent and unbiased opinion, such measures could only add more suspicion toward China’s rise as a whole. However, it’s worth emphasizing that the Chinese propaganda department’s unwise moves are only contributing to, rather than the cause of, the deterioration of China’s image abroad. China’s top authorities have to face the fact that it is their policies at home and abroad — rather than the way Chinese propaganda organs promote these policies — that have resulted in China’s unpleasant situation today. Chinese propaganda organs used to control information targeting its domestic audience and foreign audience through two different channels. The channel for international propaganda focused on China’s bright side and played down the dark side; the channel for domestic propaganda, on the other hand, kept its attention on instilling patriotism into its nationals by emphasizing China’s rise and the West’s fall. Both channels were able to transmit distorted yet separate information to their target audience for years. However, the information age and internationalization have made it impossible for Chinese propaganda organs to maintain that delicate balancing act. Despite China’s powerful Great Firewall, audiences at home and abroad are still able to acquire unchecked information instantly via social media — if they want to. Thus, Beijing’s double-faced technique was no longer effective. In response, the authorities decided to enhance the “iron fist” policy domestically, increasing suppression of speech, public communication, and civil society. One of the most sensational and unpleasant recent demonstrations of Beijing’s “iron fist” policy was broadcast live by Voice of America to the whole world. Last week, right at the middle of a telephone interview to VOA, Sun Wenguang, an 84-year-old retired professor from Shandong province, was abruptly arrested by police. During the interview, Sun was criticizing the Chinese president’s foreign policy, including his “throwing around money in Africa.” Sun even told VOA that he was holding a knife to keep the seven to eight Chinese security forces at bay before his signal was cut off. So far, Sun’s whereabouts are still unknown, despite VOA’s efforts. Such an extremely disturbing incident — which happened right after Beijing reshuffled its censorship chiefs — again made China’s image abroad even worse. If China’s top authorities really aim to re-burnish China’s image abroad now, they’d better review their “iron fist” policy seriously. Most importantly, they have to acknowledge that it is Beijing’s fierce suppression domestically and its aggressive rhetoric and conduct internationally as a whole that has tarnished and still is tarnishing China’s image abroad. Reshuffling China’s censorship chiefs alone can only cure the symptoms, not the disease.